CETA is a trade agreement being negotiated between the European Union and Canada. It is seen as a model for a trade agreement between the EU and the United States. 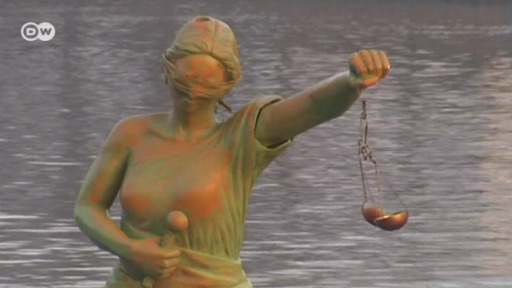 Both have triggered widespread protests also in Germany. Here you can find an automatic compilation of all DW content related to CETA. The free trade agreement between the European Union and Canada, CETA, could be the next casualty in escalating global trade battles as Italy's new government has said it will not ratify the agreement. The Italian government has reiterated its opposition to the CETA free trade deal between the European Union and Canada. The deputy prime minister said parliament would not ratify the agreement formally signed in 2016. The new government in Rome is walking in the footsteps of Donald Trump's trade protectionism, as it has threatened to torpedo the CETA trade agreement because it doesn't protect Italy's farmers and their products. A landmark free trade deal linking the European Union and Canada has come into effect despite lingering opposition from activists. The EU hailed the pact as one of its most ambitious ever, "setting a new standard." Cheesemakers in Quebec fear the CETA trade pact could threaten traditional local structures. Canadian leader Justin Trudeau has distanced himself from anti-Brussels sentiment in the US and UK. In a speech hailing the CETA free trade deal, he said the world benefits from a strong European Union. The European Parliament has backed a landmark trade deal between the European Union and Canada. 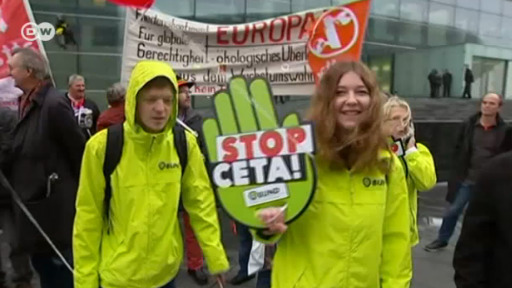 Hundreds demonstrated against the deal - called CETA - outside the parliament in Strasbourg. The deal will cut 99 percent of tariffs between the two sides but opponents say it gives corporations too much power over domestic regulation. Several hundred people protested in Strasbourg outside parliament. Amid rising anti-globalization sentiment, the EU-Canada trade pact has moved a step closer to reality after the EU trade committee gave its backing. MEPs see the deal as a symbolic show of support for open markets. Trans-Atlantic trade expert Chrystia Freeland has become Canada's new foreign minister in a Cabinet shake-up. She replaces Stephane Dion, who criticized US President-elect Donald Trump over his hostility to Muslims. Donald Trump in the US and rising populist parties in Europe - 2016 wasn't a good year for advocates of free trade. Recent studies have identified some key aspects of globalization that nativists fear most. CETA, TTIP, the EU - many issues are too important to leave to politicians, say direct democracy campaigners. But, the German constitution has a number of checks in place that guarantee parliamentary authority.